All eyes are on Zimbabwe as the country's Constitutional Court hears the petition lodged by opposition leader Nelson Chamisa in his bid to overturn President Emmerson Mnangagwa's victory in the July 30 elections. There is only a variance of 0.1% of the results announced and that does not change the validity of the elections, says Kanengoni. 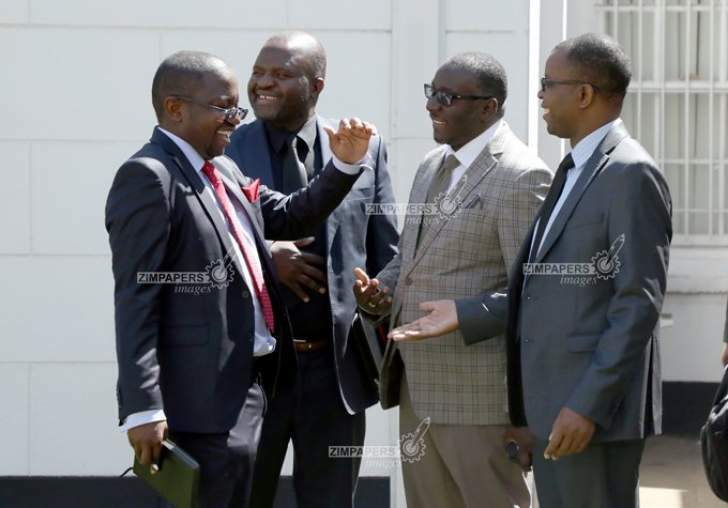 Advocate Uriri posits that "The point we are making is that the primary evidence of the actual votes cast is available and it is preserved by operation of law,"
Advocate Uriri says Chamisa's lawyer is relying on some '4th bundle of evidence,' which has not been placed before the court. Court session has resumed and Mnangagwa's lawyer Lewis Uriri takes to the stand to oppose the Chamisa submissions. "The court cannot close the door for cited respondents to make submissions in a case that they have an interest in." Chief Justice Luke Malaba spells out how the Constitutional Court hearing will proceed. There are 4 categories of participants: applicant, respondents opposing, respondents supporting, and those who want to be excused. 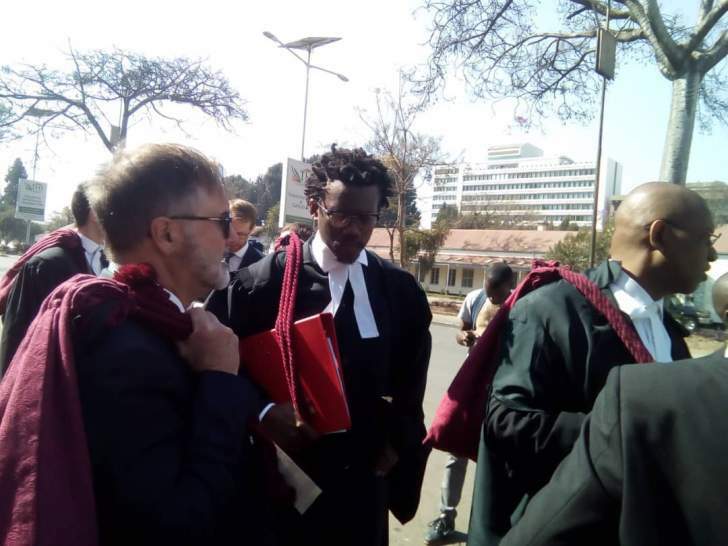 Chamisa's South African lawyers have finally been allowed into the Constitutional Court. It's not clear whether they'll be allowed to represent him. 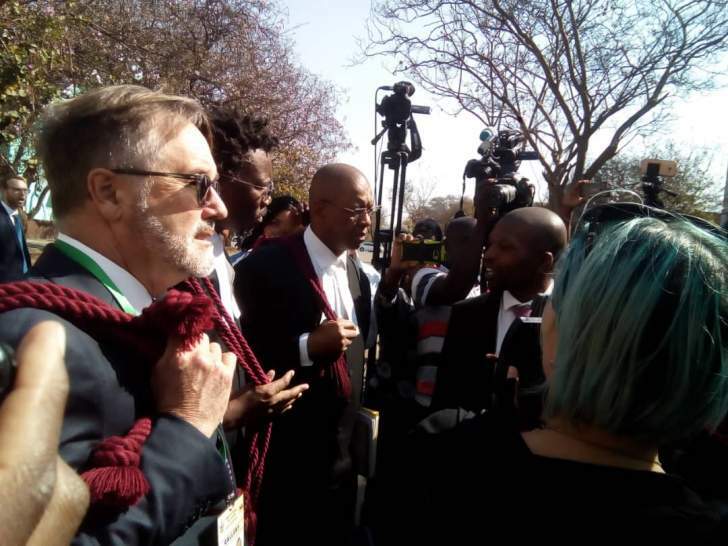 Chamisa's local lawyers have just filed an urgent application at the High Court challenging the decision by the justice ministry to bar top lawyers from South Africa, including Dali Mpofu, from practicing in Zimbabwe. The situation outside the Constitutional Court in Harare right now. MDC Alliance lawyers arriving at the Constitutional Court, as tweeted by Al Jazeera's Haru Mutasa. Al Jazeera journalist Haru Mutasa says the media has been barred from bringing phones and other recording devices into the constitutional court. Journalists are only allowed to to bring in notebooks and pens. Biti has also arrived at the Constitutional Court. 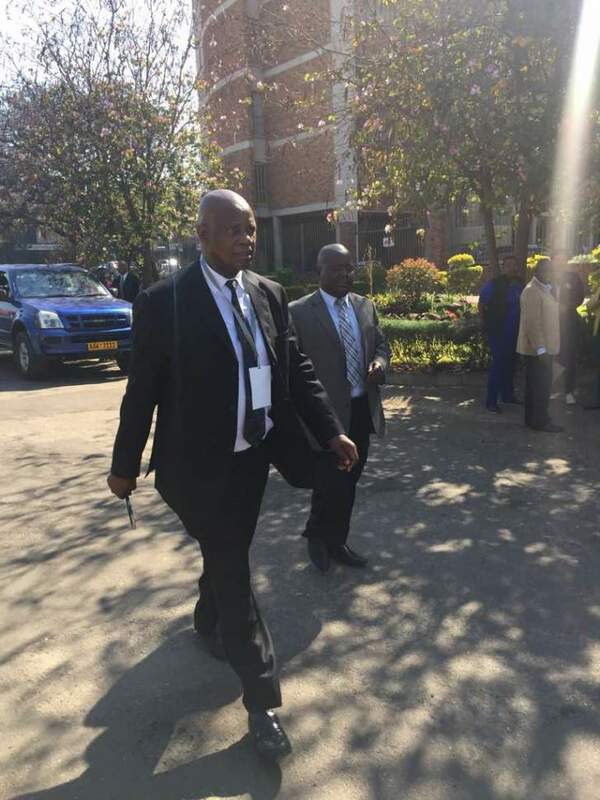 Some judges arrive at the Constitutional Court in Harare ahead of the high-stakes election petition hearing. 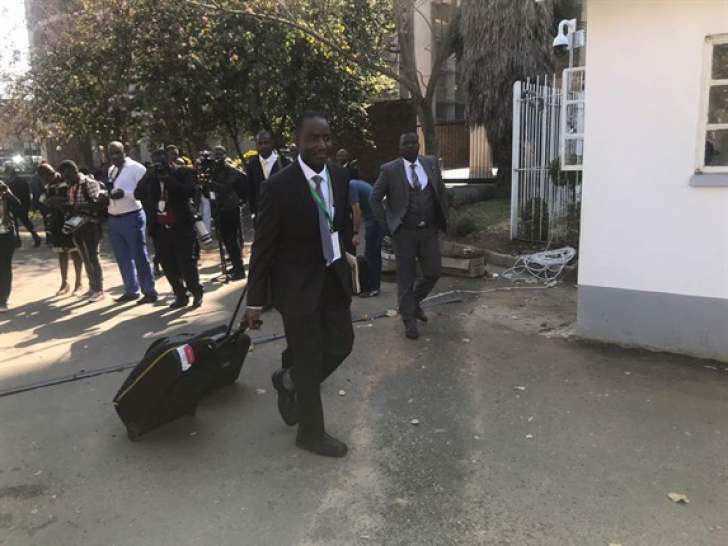 One of the President Emmerson Mnangagwa's lawyers, Munyaradzi Paul Mangwana has also arrived at the Constitutional court. Many on social media say that Zimbabwe's Constitutional Court is on trial today to demonstrate impartiality. 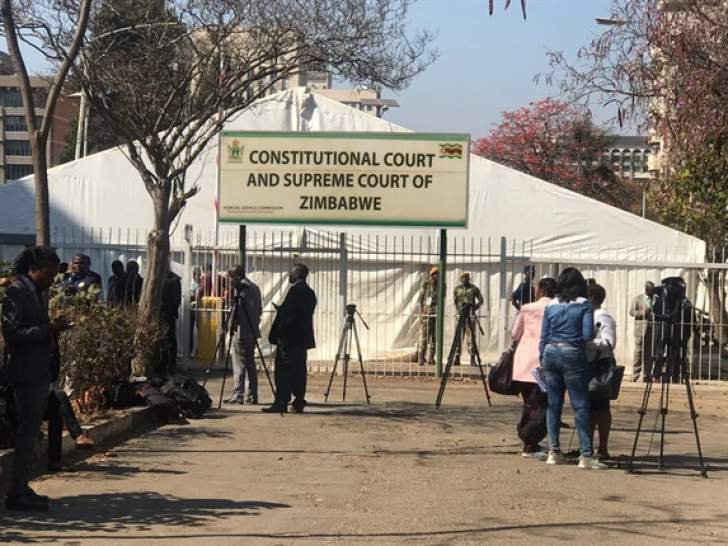 Zimbabwe's fate lies with nine Constitutional Court judges, who will preside over the matter which will decide on who will lead Zimbabwe for the next five years. Chief Justice Luke Malaba will lead a cast of eight judges picked from the 14 Supreme Court judges. These include Deputy Chief Justice Elizabeth Gwaunza, former Zimbabwe Electoral Commission (Zec) chairperson Justice Rita Makarau, Justices Paddington Garwe, Chinembiri Bhunu, Baratkumar Patel, Ben Hlatshwayo, Tendai Uchena and Lavender Makoni. The Zimbabwe police have banned the carrying of cell phones and other electronic gadgets into the Constitutional Court (ConCourt) premises. "The Zimbabwe Republic Police wishes to inform the nation that people who will be attending the Constitutional Court on the 22-23 August 2018 will not be allowed to carry electronic gadgets like cell phones, laptops, cameras or other recording devices," police spokesperson Senior Assistant Commissioner Charity Charamba is quoted as saying in a statement. "To avoid unnecessary delays please leave these items elsewhere. Only accredited individuals will be allowed access to the Constitutional Court premises. "We kindly request cooperation with law enforcement agents in that regard." Reports on social media indicate that Chamisa's SA lawyers have arrived in the country for the petition. Watch the video below in which Chamisa's spokesperson Nkululekop Sibanda says the lawyers have been accredited to be in court... "an that's all that matters". Zimbabwe’s justice minister indicated this week that applications by Nelson Chamisa’s South African lawyers to appear in Harare’s Constitutional Court arrived late and didn’t have supporting documents. Ziyambi Ziyambi told state ZBC radio on Monday that the applications arrived after he’d already left his office on Friday. He said he’d written to the lawyers to get them to send the information on Monday, but had only received documents for one of the lawyers – Advocate Jeremy Gauntlett. But Chamisa’s spokesperson, Nkululeko Sibanda, played down the issue of the South Africans not getting permits. “When we were talking to them we were clearly aware that the chances of them being allowed to operate in the country were very slim,” he told News24. He said the MDC Alliance had hired the lawyers for their expertise and not necessarily to argue the case before the court.“The brains and expertise don’t need a visa to operate in the country,” he added. Zimbabwe's Constitutional Court will Wednesday hear an opposition petition seeking to overturn the presidential election result, in a legal challenge seen as unlikely to succeed despite allegations of vote fraud. The Movement for Democratic Change (MDC) has accused the ruling Zanu-PF party and the election commission of rigging the July 30 vote, Zimbabwe's first poll since the ousting of Robert Mugabe last year. Mugabe's successor, Emmerson Mnangagwa, won with 50.8% of the vote - just enough to avoid a run-off against the MDC's Nelson Chamisa, who scored 44.3%. "We have a very strong case and we are going to reverse the electoral fraud," Chamisa told reporters this week. "We are going to defend your vote, our vote, the people's vote. We have no doubt that victory is certain." Mnangagwa, who has vowed to turn around Zimbabwe's ruined economy, hoped the elections would draw a line under Mugabe's repressive 37-year rule. The election campaign was more open than previous votes, but was marred by the army opening fire on protesters, killing six, allegations of vote-rigging and a crackdown on opposition activists. "I won the court case before it began," Mnangagwa said on the sidelines of a regional summit in Namibia at the weekend. "It's declared free and fair... why would I ever think that I will lose?" The Africa Judges and Jurists Forum (AJJF) has dispatched senior judges and jurists to observe the court challenge. "The Africa Judges and Jurists Forum will be represented by secretary-general Martin Masiga from Uganda, Retired Chief Justice Earnest Sakala of Zambia and Justice Isaac Lenaola from the Supreme Court of Kenya," Arnold Tsunga, Africa director at International Commission of Jurists is quoted as saying.